Subject matter like disappearing or kidnaped and being held in captivity and then appearing many years after is taking over our TV. BBC‘s Thirteen can be used as a great example. This is why the question, such as, how many more ways the story of captivity can take is of course up to our imagination if we allow it to be used properly. Netflix seems to have no problem with manipulating or playing with this as its new original series THE OA explores an absolutely new and refreshing look into one particular person’s life who, formerly blind, returns with restored sight. The series begins with Prairie (Brit Marling) who has been recorded on a cell phone while she was jumping off the bridge. Obviously, as many of us would have assumed, it was presumed as an attempted suicide. Shortly after, the same recorded image appears on YouTube which helps Nancy Johnson (Alice Krige) to recognize in Prairie her disappeared daughter from seven years ago. But their surprise was beyond imagination when they find out that she is no longer blind like the time she was before she went missing. While the media tries to solve the puzzle how Prairie has returned with restored sight, the biggest mystery starts from that moment on when Prairie, who now claims to be the OA begins her journey to search for five strong individuals who will be wiling to listen to her story and then help her with perfecting certain movements that will allow her to release other people held in captive including Homer (Emory Cohen) with whom she develops a special bond. As you watch the series from one episode to another, Prairie, who finally gathers her five “musketeers”, whose current lives are more troubled than she could have imagined. However, that gathering helps to grow in five individuals a new self, where at the point of conclusion, they will have to serve the biggest purpose, which I promise, will be mind blowing if you watch it the series finale. However, the concept of kidnapping or being held in captivity and the reason behind it, I assure you, will surprise you the most. It will be revealed quickly that it was Dr. Hunter Hap (Jason Isaacs) who is obsessed with the research of an NDE (nearly death experience) of which, Prairie as a child, and five more men kept in the case experienced. Of course, the answers given are shocking, smart and gives food for thought. 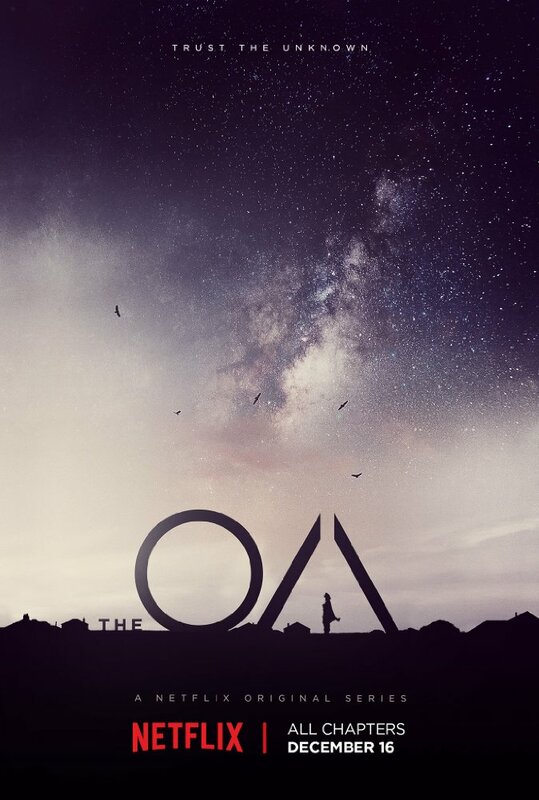 After all, we all, if not in a real life but in an imaginary one that is offered in THE OA, would like to have the answer to te question : Is there anything at the end of the dark tunnel? To conclude the above statement, is there life after death? Will we be transported into another dimension to live a new and better life? THE OA may not provide such a lifechanging answer, but it will obviously make you to bite your nails until you reach its conclusion, which I promise you will make sense. To ensure your safe and smooth journey, the stellar cast of THE OA will make sure you enjoy your journey throughout. All what you need is to stay tuned, turn into Netflix, and watch all available eight episodes to have your own idea, and perhaps an opinion, better than the one I had… Because it’s a good, intelligent and provocative in a sense series you would not like to miss at all.